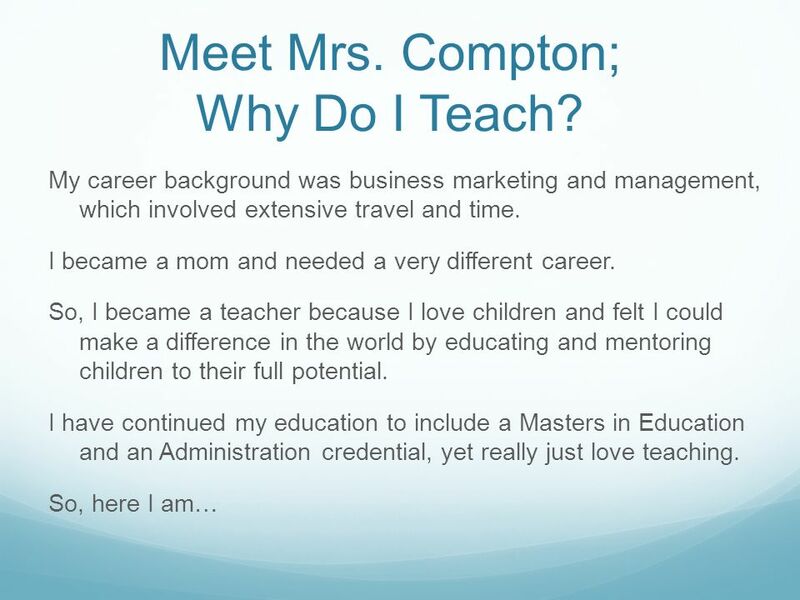 3 Meet Mrs. Compton; Why Do I Teach? 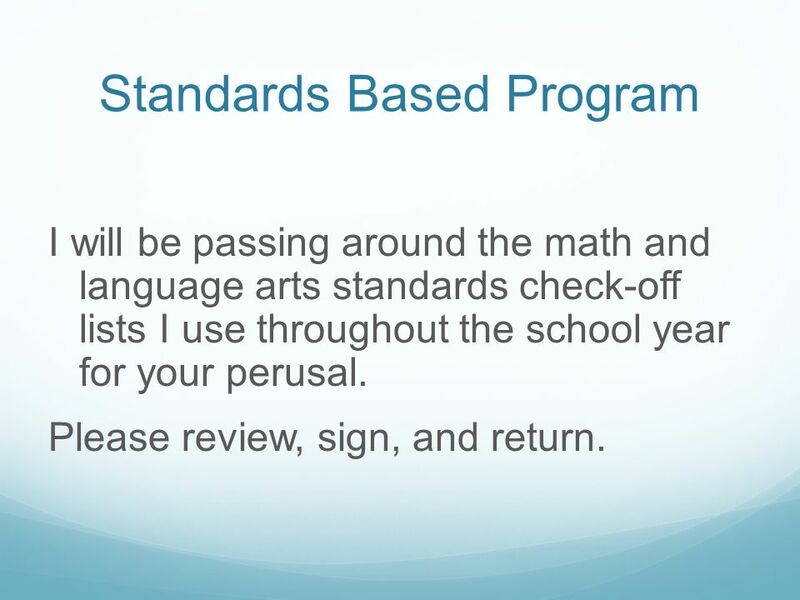 I will be passing around the math and language arts standards check-off lists I use throughout the school year for your perusal. Please review, sign, and return. 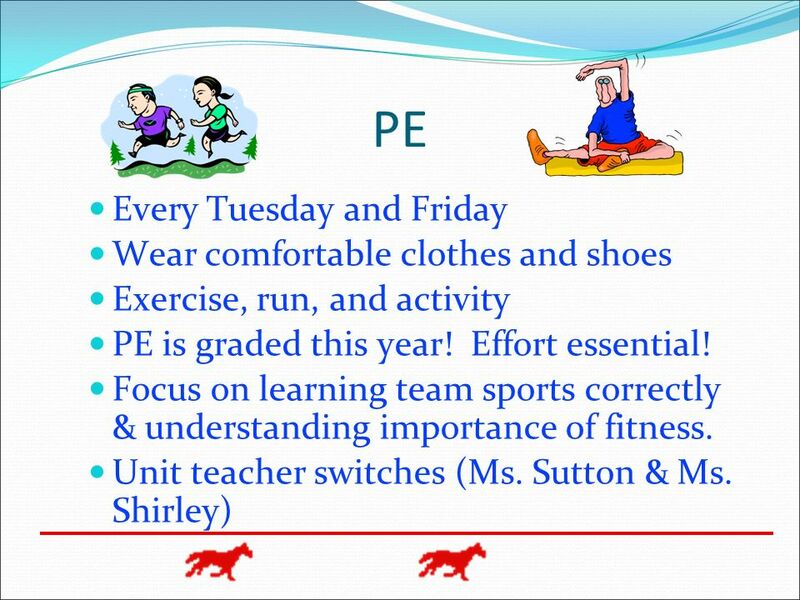 Tests: Reading, Vocabulary, and Spelling will usually be on Fridays. Other subjects vary. Homework Thursdays: Primarily studying for exams. 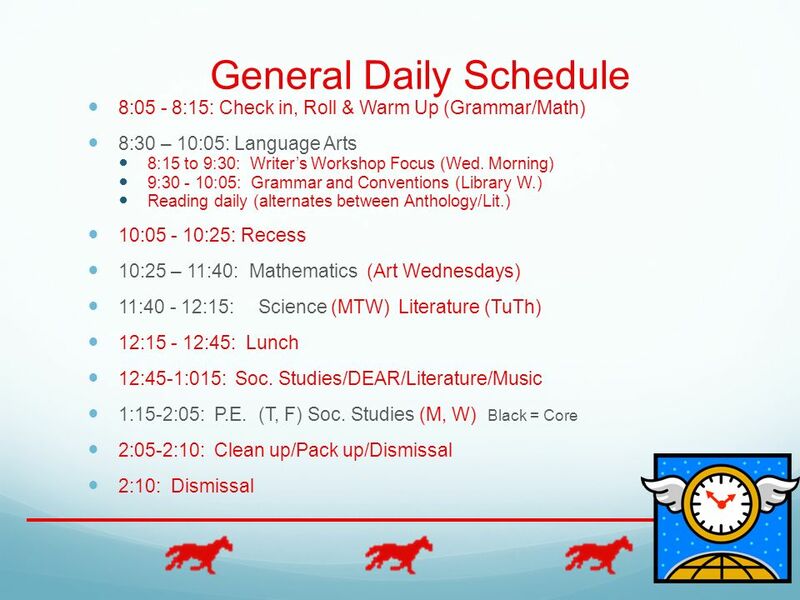 Please consider study time for exams as regular homework on Thursdays; to include a practice spelling test signed by a parent or guardian, and verbal vocabulary quiz. Math tests may fall on different days, so please check web page/SchoolLoop for upcoming exams. Weekly art or special science lesson taught on Wednesdays after morning recess. (Teacher prep. 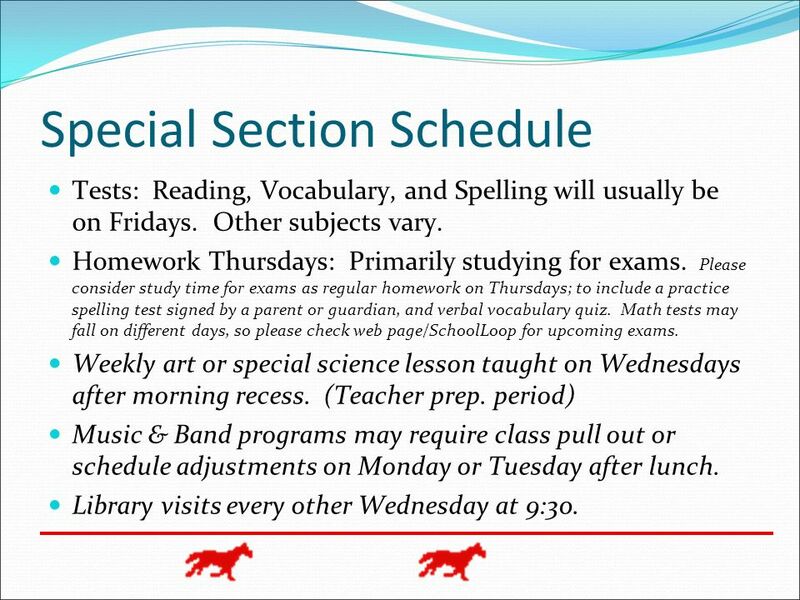 period) Music & Band programs may require class pull out or schedule adjustments on Monday or Tuesday after lunch. Library visits every other Wednesday at 9:30. Leveled groups and differentiated work accomplished by switching classes. Chapter tests, mid-chapter tests & lesson quizzes common. 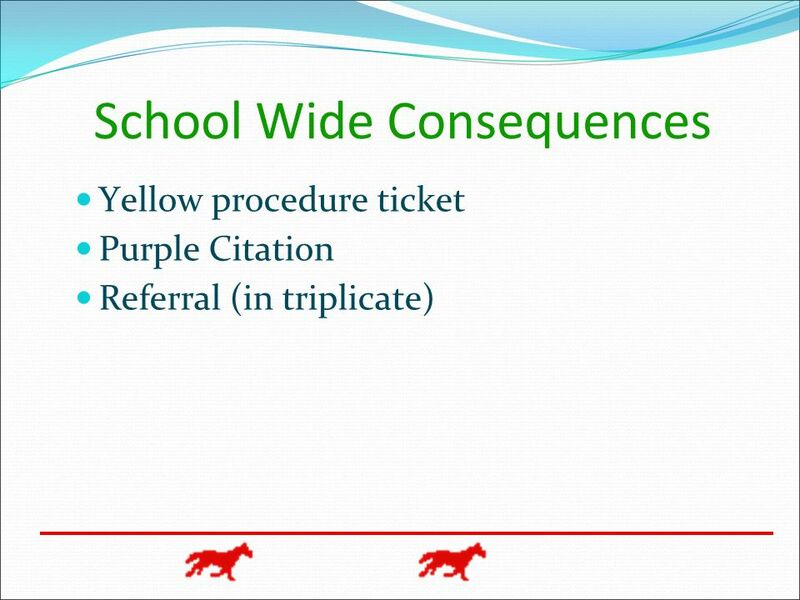 Homework counts for points, but not excessively. 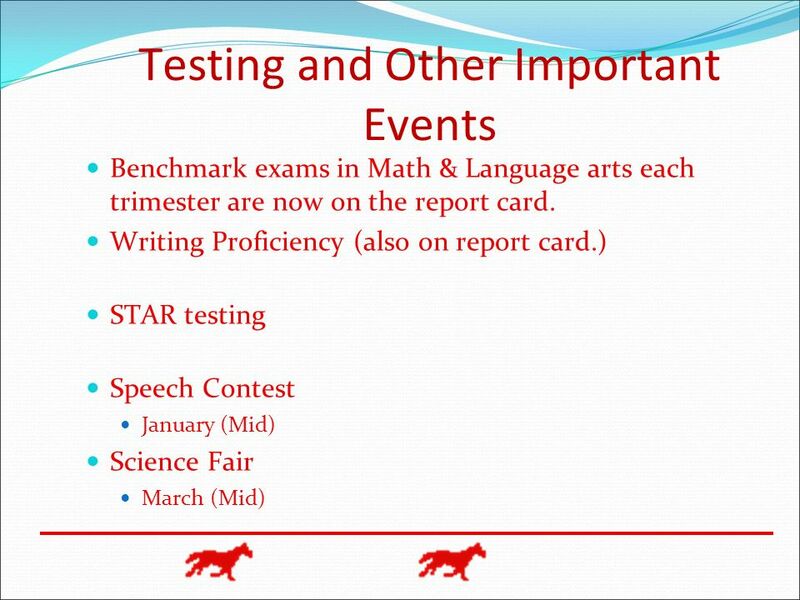 Used as incentive… Benchmark Exams each trimester are now on report card. 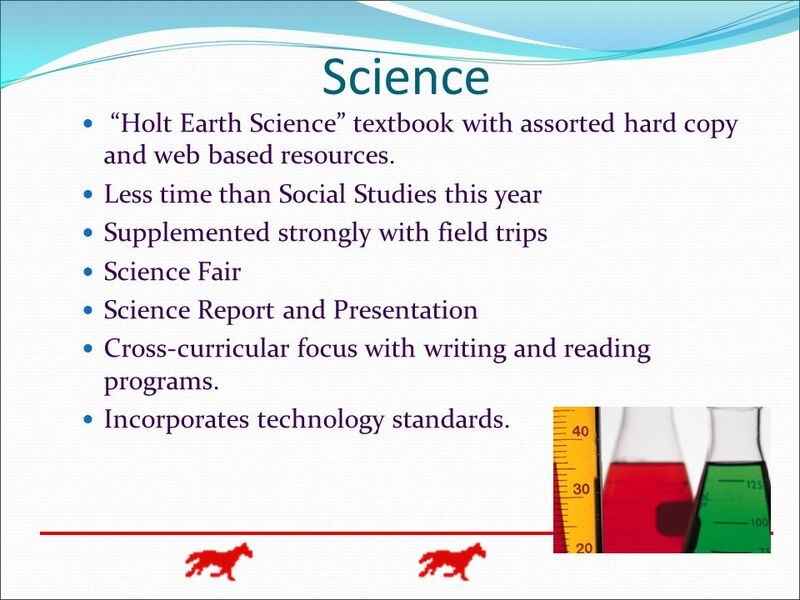 10 Science “Holt Earth Science” textbook with assorted hard copy and web based resources. Less time than Social Studies this year Supplemented strongly with field trips Science Fair Science Report and Presentation Cross-curricular focus with writing and reading programs. Incorporates technology standards. 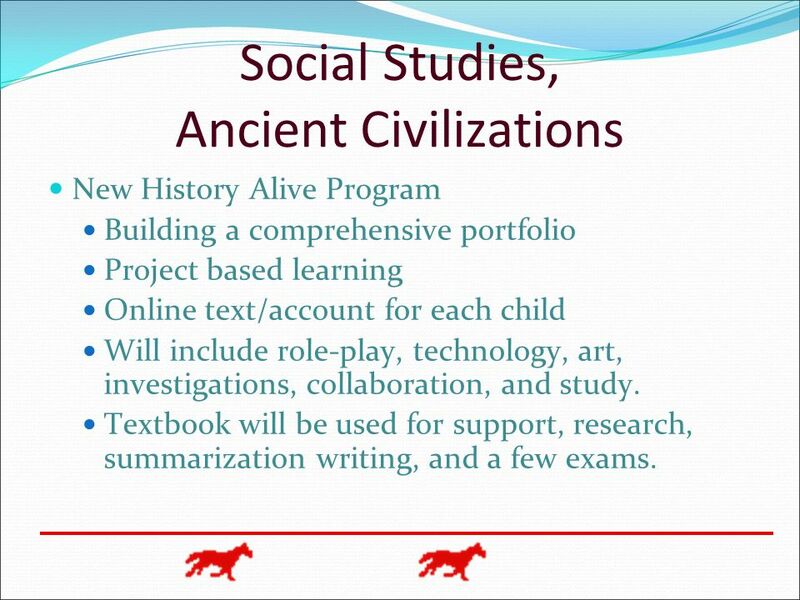 New History Alive Program Building a comprehensive portfolio Project based learning Online text/account for each child Will include role-play, technology, art, investigations, collaboration, and study. Textbook will be used for support, research, summarization writing, and a few exams. will be reviewed during The 6th Grade presentation. 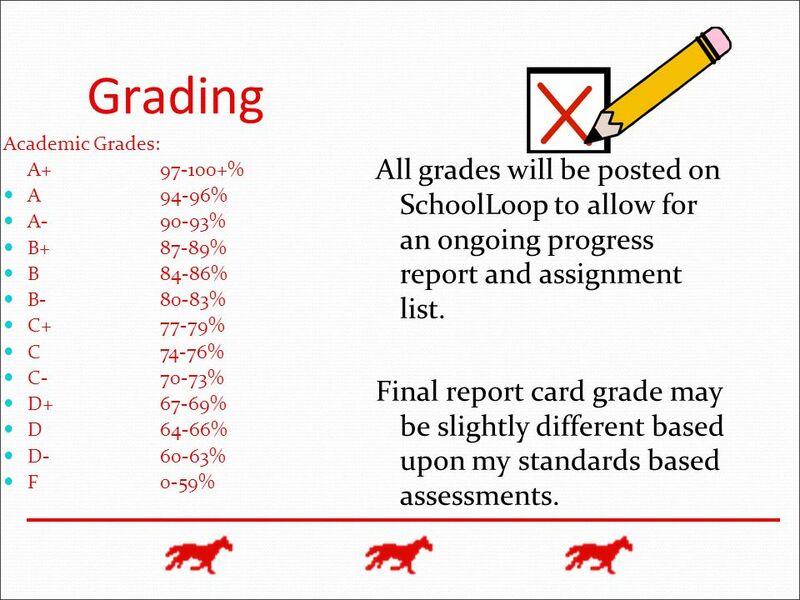 14 Grading Academic Grades: A % A % A % B % B % B % C % C % C % D % D % D % F % All grades will be posted on SchoolLoop to allow for an ongoing progress report and assignment list. Final report card grade may be slightly different based upon my standards based assessments. 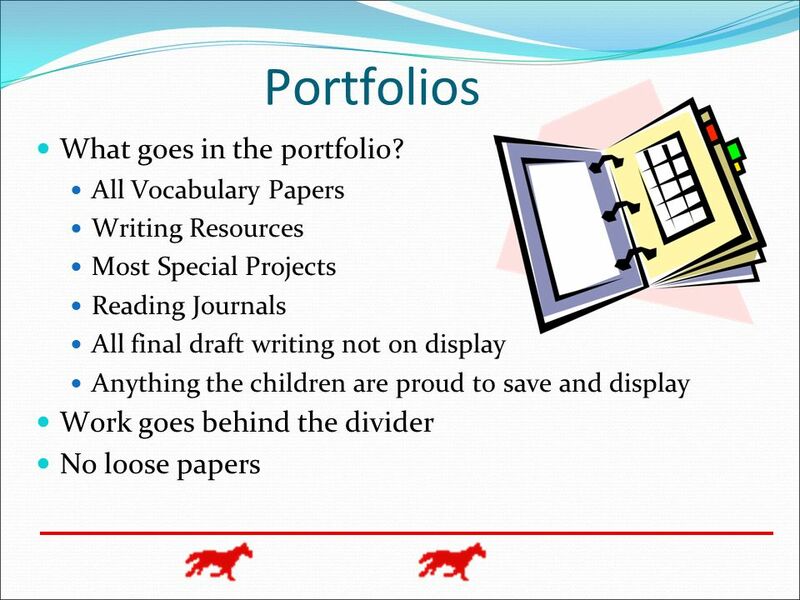 16 Homework Policy All students are responsible for turning in their own homework on time. No late homework will be accepted (except with excused absences.) 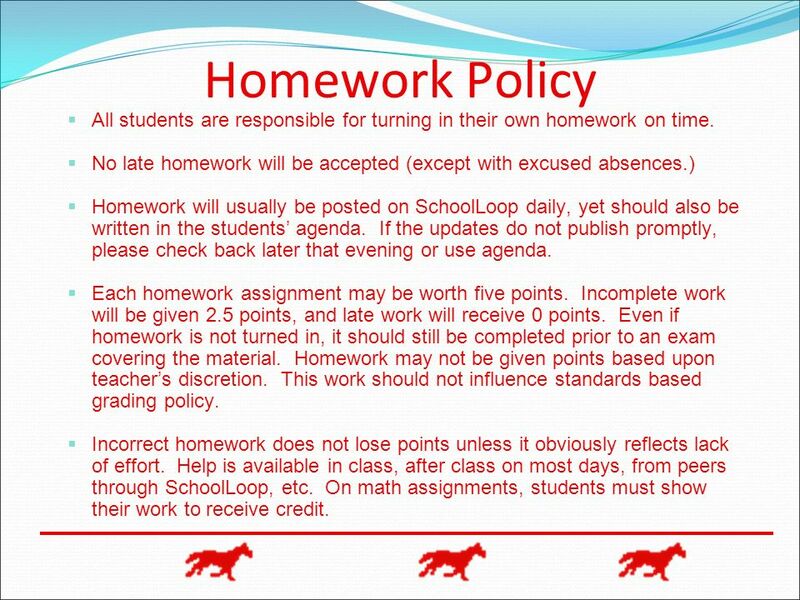 Homework will usually be posted on SchoolLoop daily, yet should also be written in the students’ agenda. If the updates do not publish promptly, please check back later that evening or use agenda. 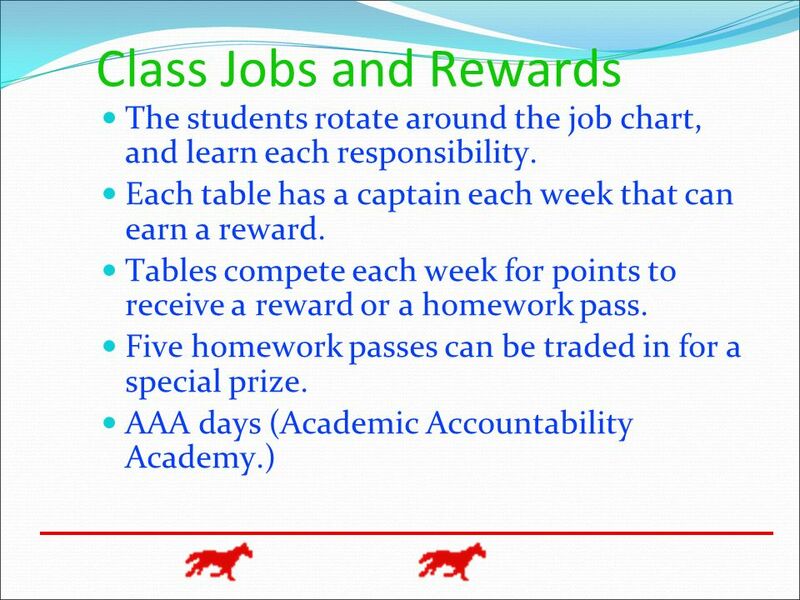 Each homework assignment may be worth five points. Incomplete work will be given 2.5 points, and late work will receive 0 points. Even if homework is not turned in, it should still be completed prior to an exam covering the material. 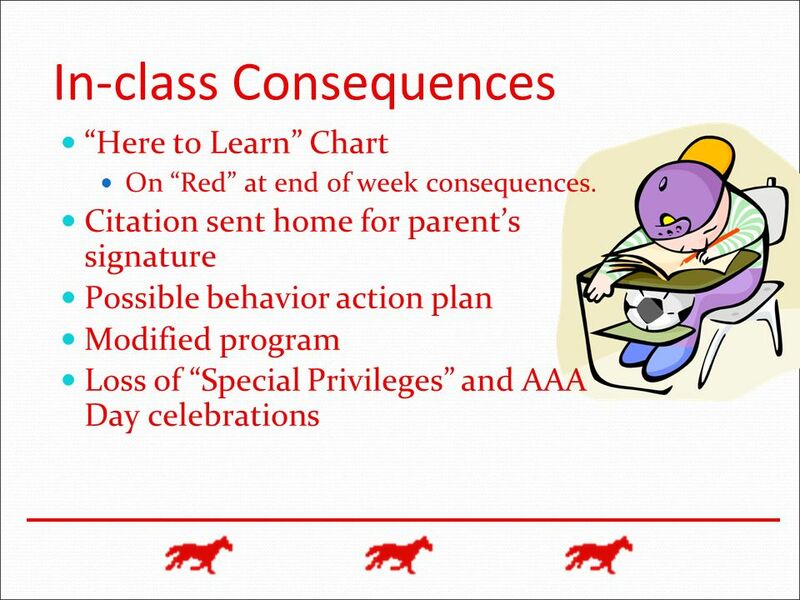 Homework may not be given points based upon teacher’s discretion. This work should not influence standards based grading policy. 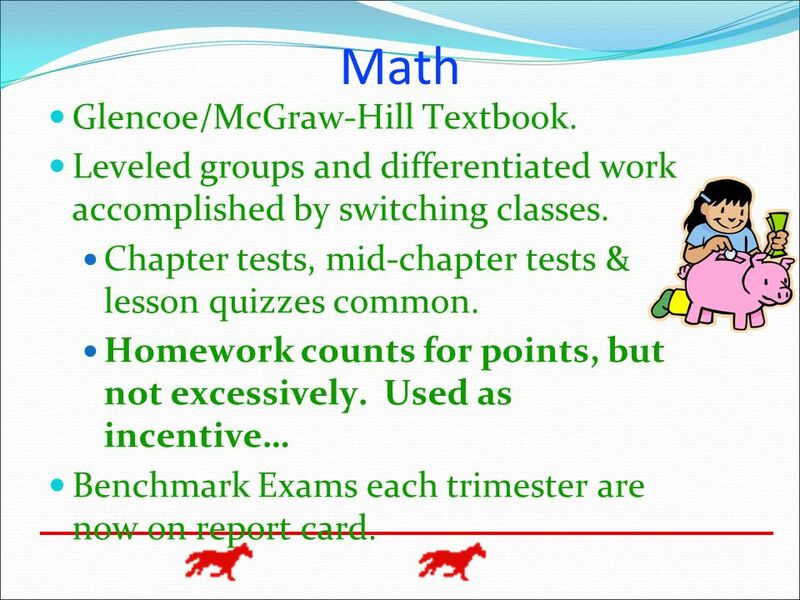 Incorrect homework does not lose points unless it obviously reflects lack of effort. Help is available in class, after class on most days, from peers through SchoolLoop, etc. On math assignments, students must show their work to receive credit. 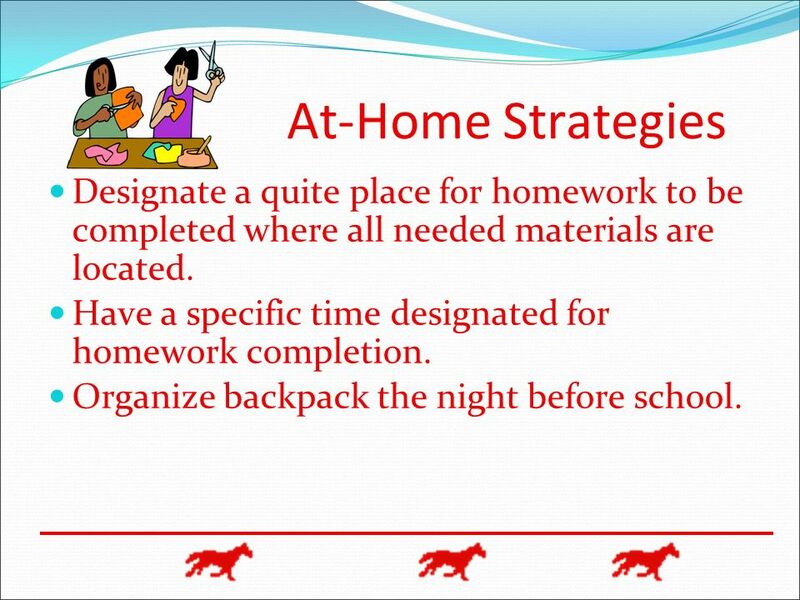 17 At-Home Strategies Designate a quite place for homework to be completed where all needed materials are located. 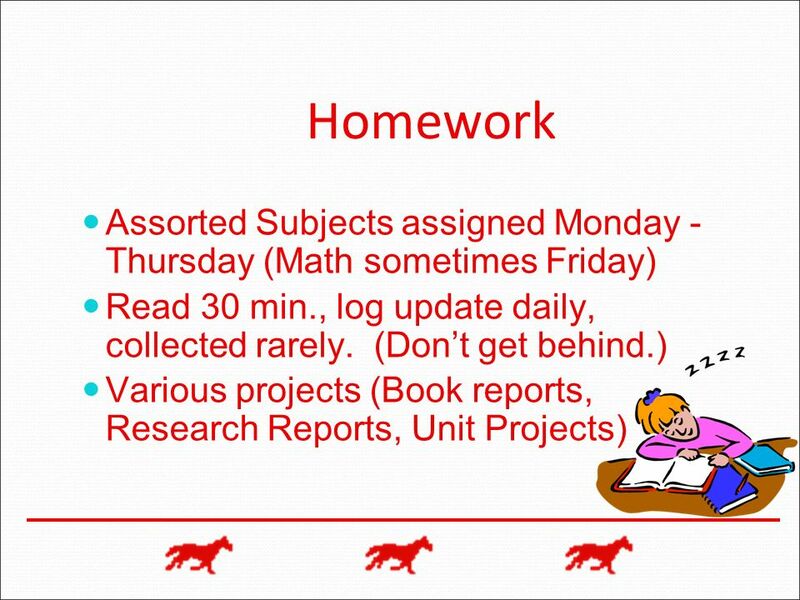 Have a specific time designated for homework completion. Organize backpack the night before school. 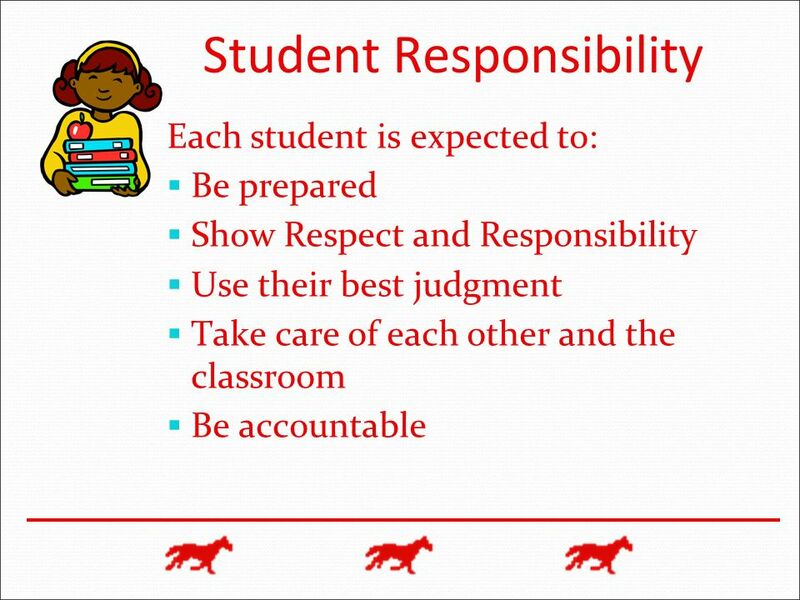 We are trying to teach children to be responsible, so “no excuses” are accepted for forgotten materials, or unfinished work, etc. If your child cannot keep up with homework or class-work, please request a conference to discuss special needs or accommodations. 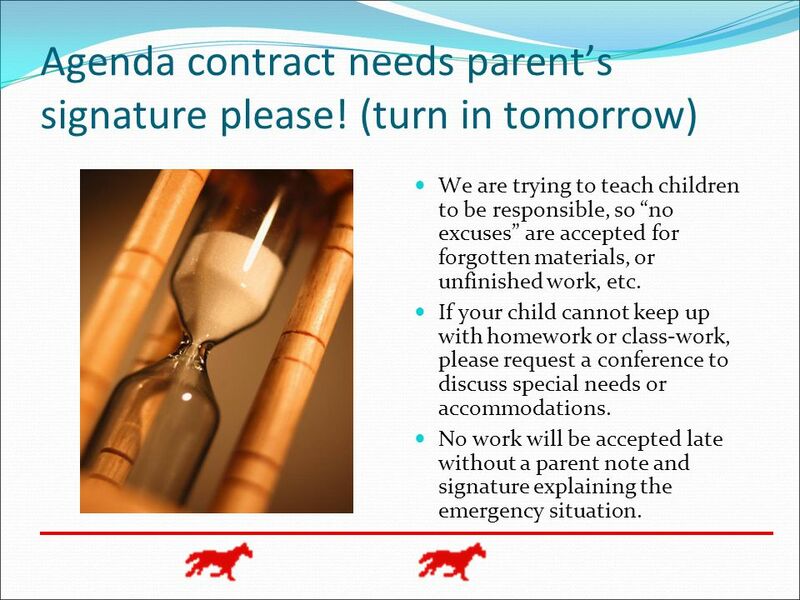 No work will be accepted late without a parent note and signature explaining the emergency situation. 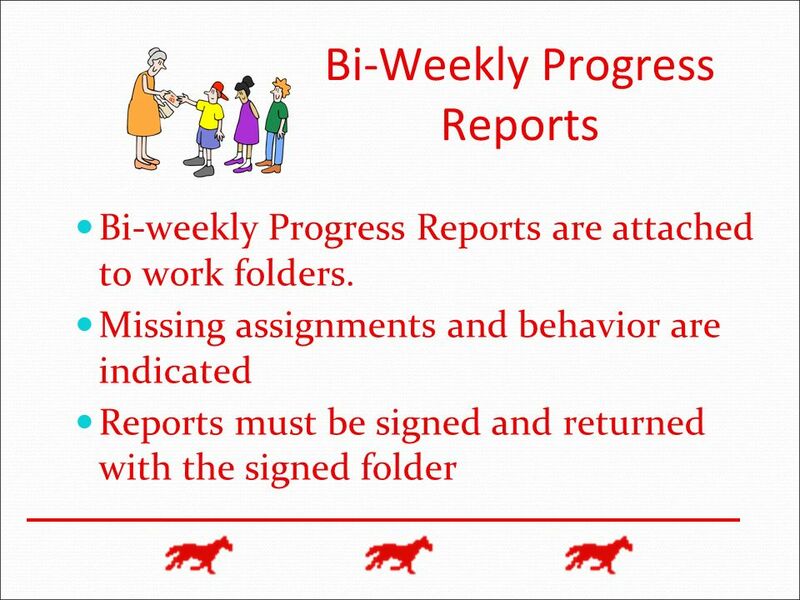 26 Friday Folders.... Work graded and eligible to be sent home. 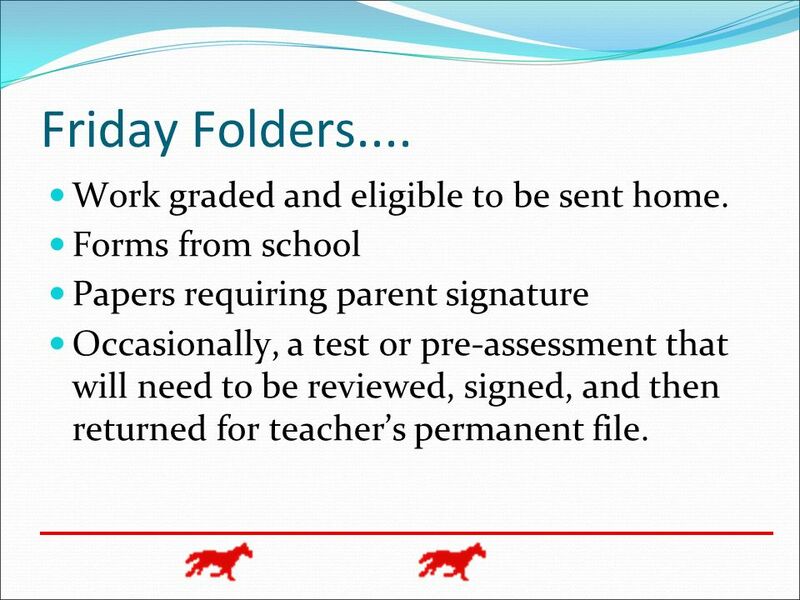 Forms from school Papers requiring parent signature Occasionally, a test or pre-assessment that will need to be reviewed, signed, and then returned for teacher’s permanent file. 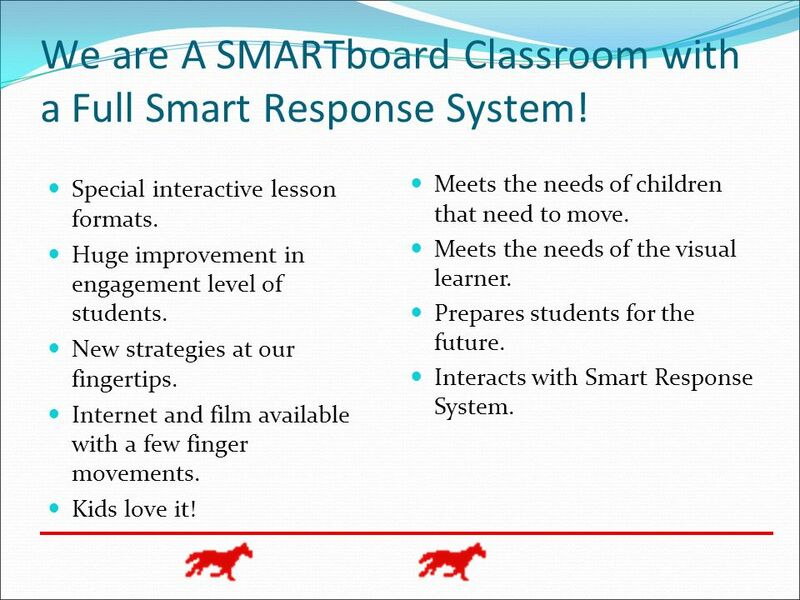 27 We are A SMARTboard Classroom with a Full Smart Response System! 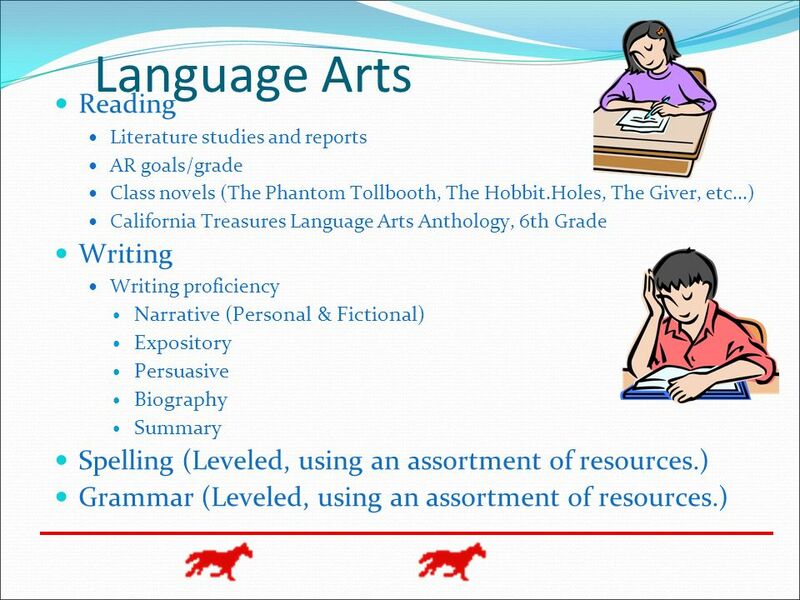 Special interactive lesson formats. Huge improvement in engagement level of students. New strategies at our fingertips. Internet and film available with a few finger movements. Kids love it! Meets the needs of children that need to move. Meets the needs of the visual learner. Prepares students for the future. Interacts with Smart Response System. Thank you so much to the parents who have already given financial support... Wow!!! Matsumoto parents are amazing! We promise to spend every penny during this school year so that your children receive the full benefit. 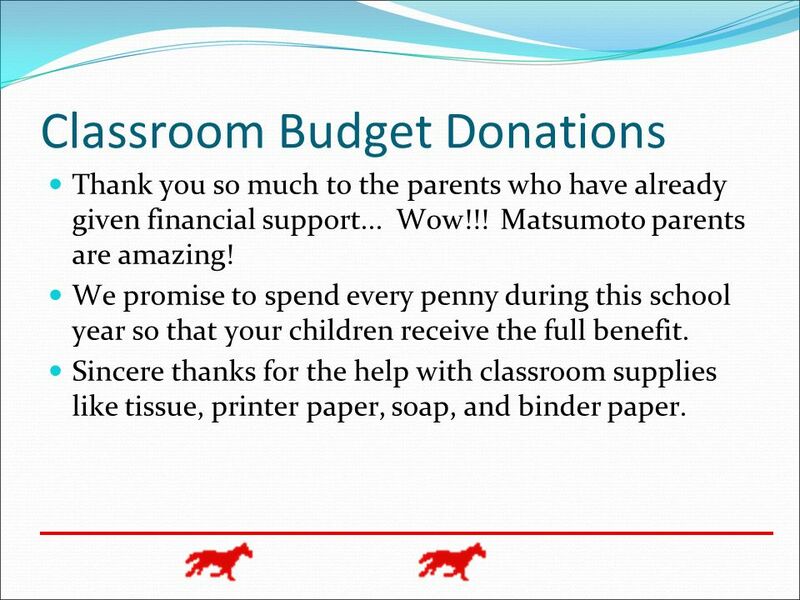 Sincere thanks for the help with classroom supplies like tissue, printer paper, soap, and binder paper. 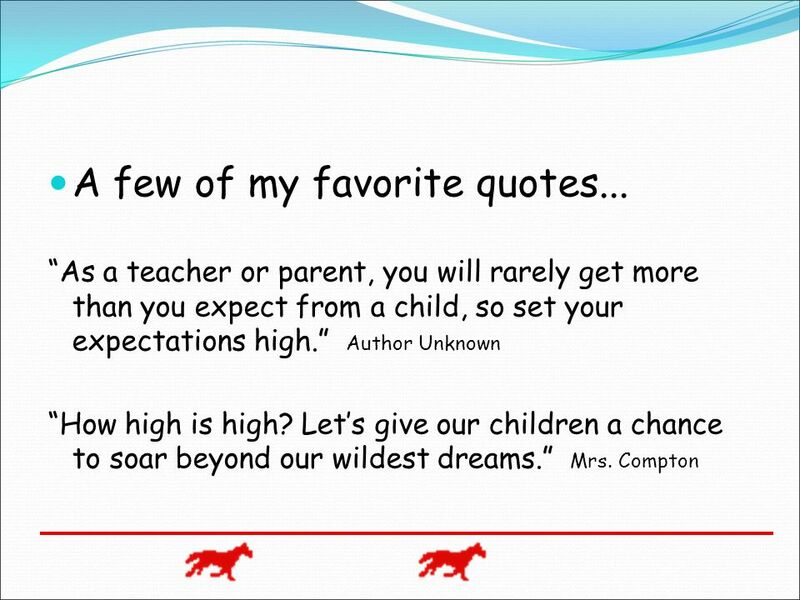 29 Classroom Helpers... Thank you parents for the generous donations! Thank you to the parents who are willing to help with copies this year. We have a Project Cornerstone parent.  Mrs. Tarver Field trip chaperones are always welcome and usually we can invite at least three parents. 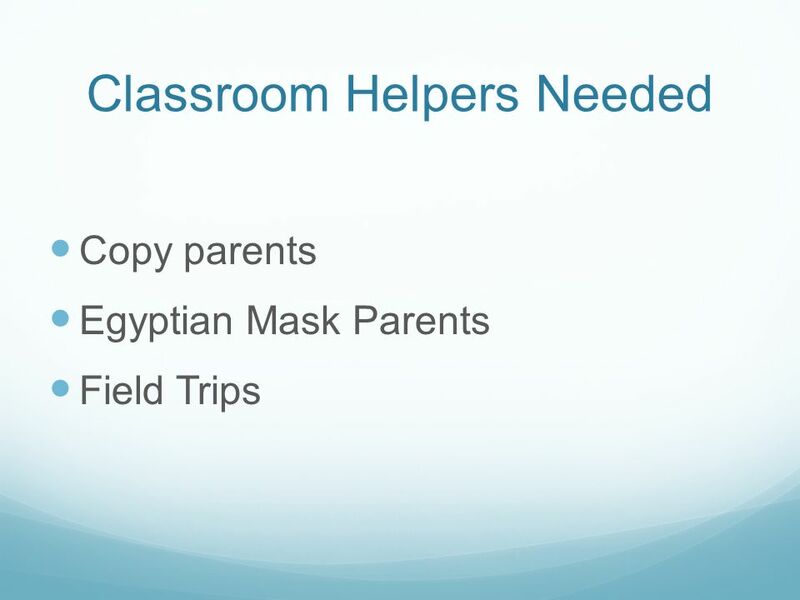 Helpers for special art projects (like the upcoming Egyptian mask project) will be needed. Parents who are willing to take home papers for grading are also a great support. 31 Before you leave…. Have a nice evening and I’ll see you all soon. I want to thank you for your attention this evening. 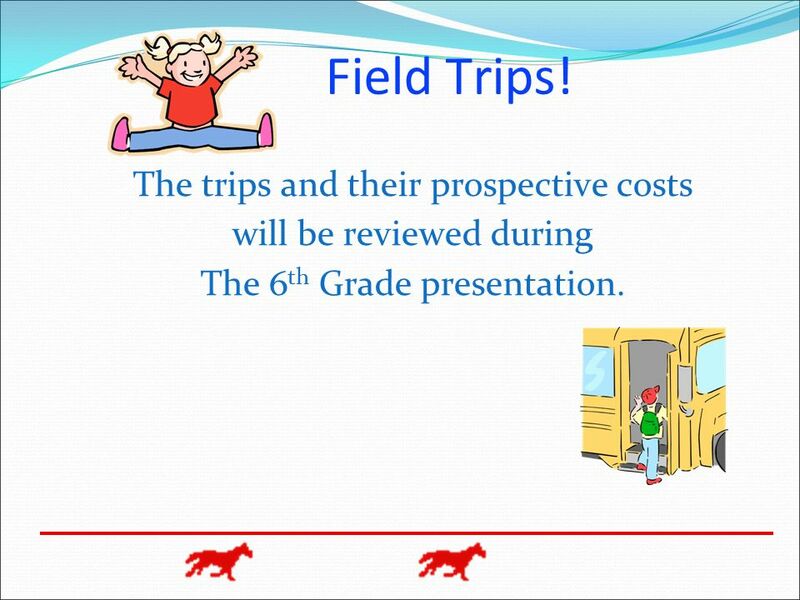 Sorry this was so rushed, but the whole 6th grade presentation will be very informative. Now. 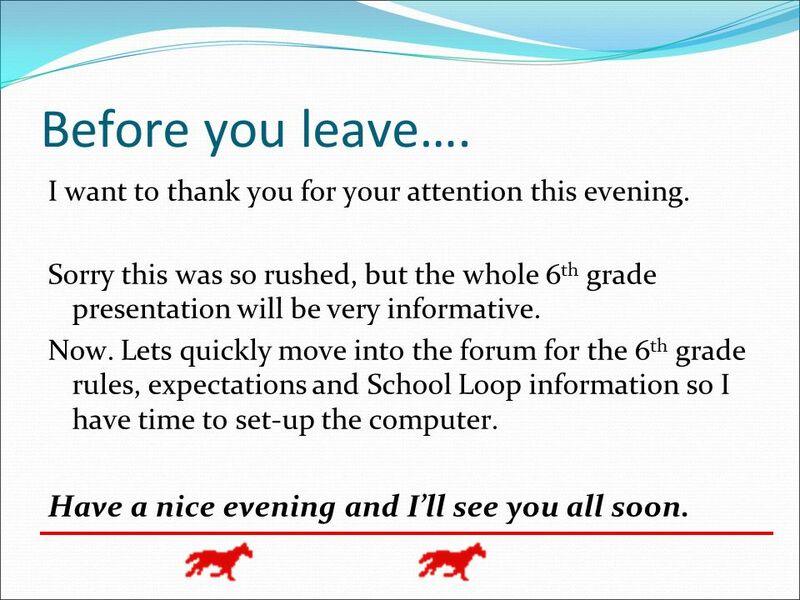 Lets quickly move into the forum for the 6th grade rules, expectations and School Loop information so I have time to set-up the computer. Have a nice evening and I’ll see you all soon. 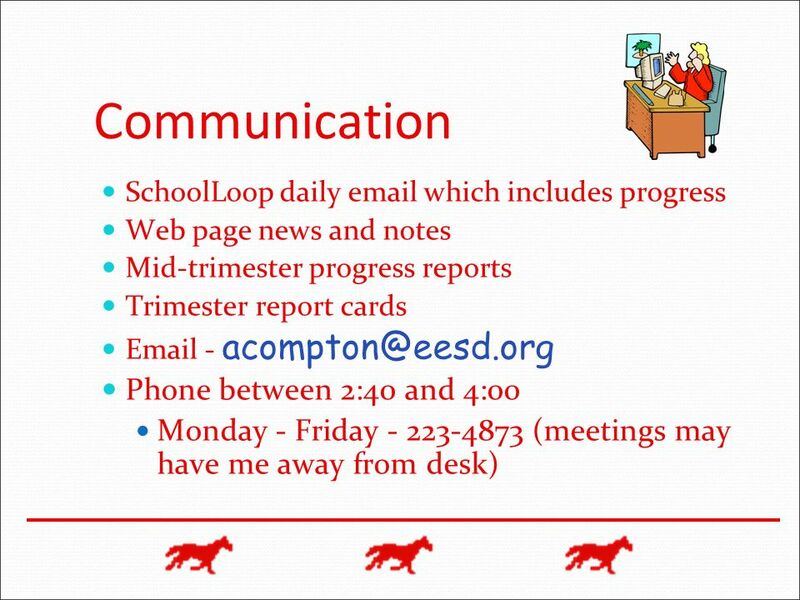 Download ppt "Mrs. Compton’s Sixth Grade"
Parent Orientation August 30 th, The Forest Creek Elementary learning community will be a model school where: students are first, high academic. Welcome to Back to School Night Mrs. Mendoza 6 th Grade Core (English, Reading, Word History) On a piece of scratch paper, please answer the following. West Riverside Elementary Welcome to 5 th Grade. Supply List One 3 ring binder-2inches or more Dividers # 2 pencils Erasers Pencil pouch/box Lined paper-wide. Welcome to Mrs. Jessee’s room for “Back To School” Night! Welcome to Mrs. Jessee’s room for “Back To School” Night! 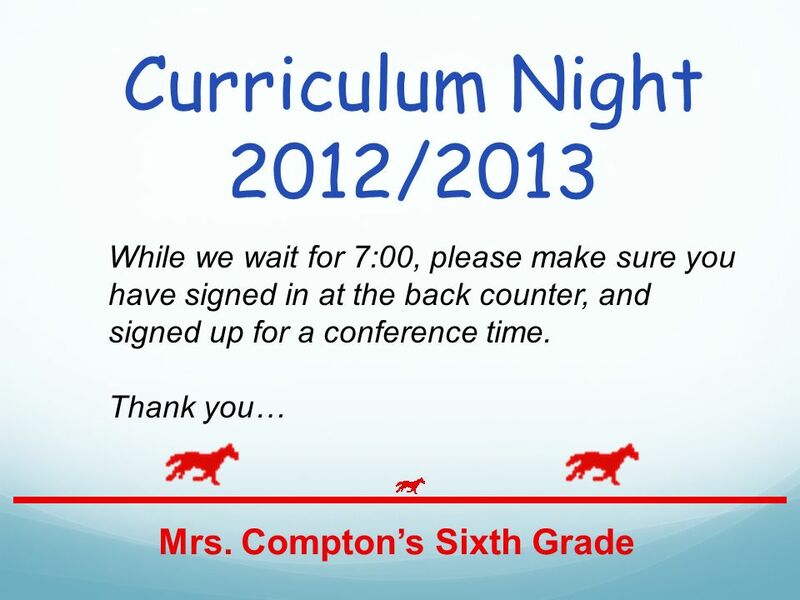 Welcome to Back to School Night Room 21 Miss Moyal Before you leave……  Sign up for Fall Conference Time. Welcome!!! Miss Algara Rosa Parks Elementary 6th Grade, D Track.